The ongoing economic crisis in the eurozone has political roots, as the EU took on too many obligations with new members. Now Brussels wants Russia to share the burden, said President Vladimir Putin at the final APEC press conference in Vladivostok. 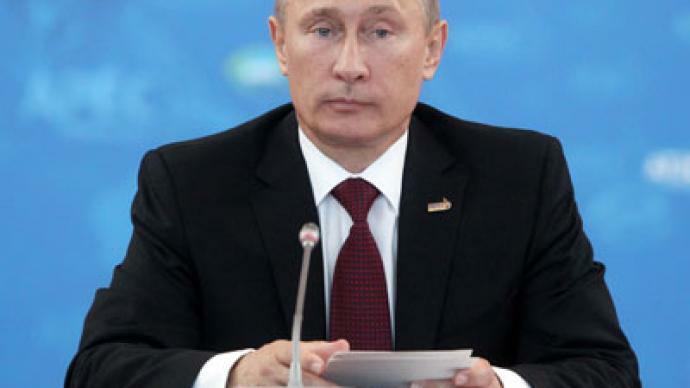 ­Putin explained that modern Russia will not take on any additional obligations towards the economies of Eastern Europe. “The matter is that all those [Eastern European] countries were accepted to the EU and the Union committed to subsidize their economies,” Putin said. The economic plight of the EU is the direct reason for the antitrust investigation initiated by the EU against Russian state corporation Gazprom, Putin observed. 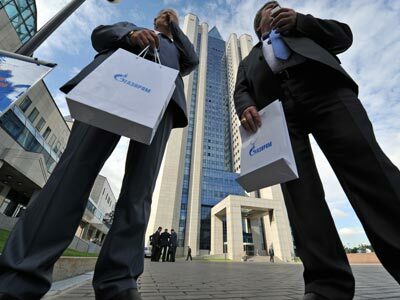 The European Union is probing Gazprom over alleged unfair competition and price-fixing in the natural gas markets of Central and Eastern Europe. The EU claims Gazprom was hindering the free flow of gas across its member countries, preventing supply diversification and limiting customer choice of delivery points. Brussels also suspects Gazprom of imposing unfair prices on its customers by linking the price of gas to oil prices. The company does not admit any wrongdoing. “It seems now that someone in the European Commission has decided that we (Russia) are going to share this subsidizing burden [of Eastern Europe]. That means the united Europe wants to keep political influence while we would be paying for this a little bit. This is a non-constructive approach,” Putin noted, also saying that given the crisis times a desire to shift part of the financial activities on somebody else is understandable, but counterproductive. Putin recalled that in the times of the USSR and the ‘Eastern Bloc’ the Soviet Union was transiting hydrocarbons to its allies for a special price. “In our times we have shifted to market relations with these countries and market formation of prices. Let’s stay on the ground of today realities,” the president urged. ­Russia is not going to “artificially” turn its economic orientation towards APEC countries, as 51 per cent of the Russian trade turnover is accounted for by Europe, while the APEC countries comprise only 24 per cent. “Nothing should be done artificially in this respect, it will happen on an actual basis,” the president assured, saying it doesn’t mean this expectation of changes could be idle. “We must be getting ready,” he added, recalling that Russia is already expanding its railroad carrying capabilities, port infrastructure and electric energy potential in its Far East for the pending trade boost. Vladimir Putin said that modernization of infrastructure in the area will only be expanded in the future. 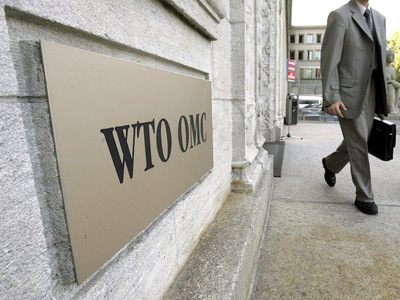 At the summit Russia expressed readiness to become a new global transit corridor for world trade. 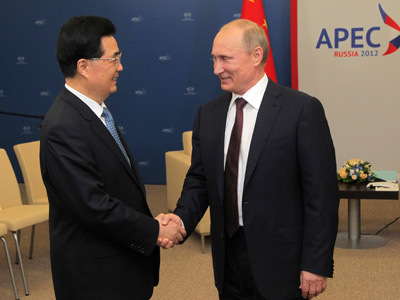 “We propose to use transit potential of our country to diversify local and global logistics chains to form more convenient routes of cargo delivery between the Asia-Pacific region and Europe through continental Russia and Northern Sea Route,” announced Putin, saying that the summit has proved that this new route could eliminate logistic bottlenecks curbing growth of global trade. The president particularly invited Chinese businesses to take part in this modernization, promising to specifically welcome Greenfield and innovative projects, creating favorable conditions for them at a governmental level. He recalled that not only Chinese, but Japanese and South Korean investments are already being undertaken in the region. ­Asked about the current state of Russia-EU economic relations, the president did not share the belief that the two entities are in a state of trade war. “We have a kind and constructive relationship. This is nothing like warfare or a trade war,” he said. Russia has been “traditionally oriented towards European continent,” acknowledged Putin. “We considerably depend on Europe and – I want to stress it – we sincerely wish good luck to our European partners in overcoming the difficulties they are confronting today,” Putin said. 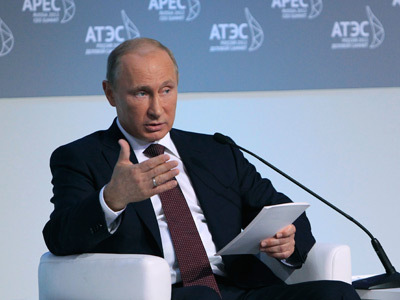 The president shared that the APEC summit in Vladivostok witnessed “a certain alarm over the development of the situation in the world economy.” At the same time the Asia-Pacific region shows positive tendencies, Putin noted. “If the eurozone is about to show zero growth or even a recession, here [in Asia] is growth, and considerable at that,” Putin said. This state of affairs puts the leaders of the Asian region in a guardedly optimistic mindset, he concluded. 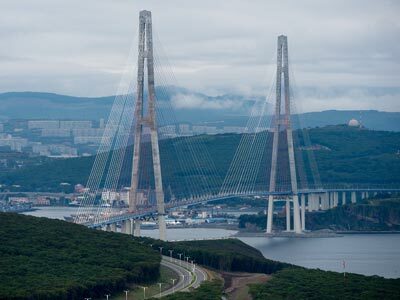 The 21 members of the Asia-Pacific Economic Cooperation forum in Vladivostok vowed to work together to support open trade, strengthen public finances and reform economies to restore confidence in financial markets shaken by the deepening European crisis. "Our work has been constructive. We have specific results and I am satisfied with the outcome of the work," President Vladimir Putin assessed the outcome of the summit.